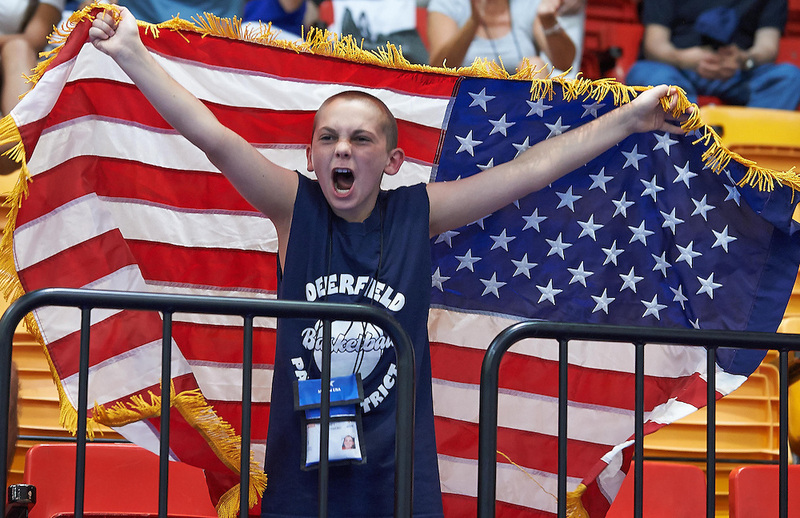 A young American fan cheers during karate competition at the 2013 Maccabi Games in Israel. © 2013 Shelley Lipton. © 2013 Shelley Lipton. All rights reserved.